Picnics and wine or beer – it’s probably the most common pairing of a summer afternoon in the park. I’m not the world’s biggest picnic fan what with the bugs in your glass of rose gammay or soggy sarnies. The food never matches, the white is always warm and the weather never cooperate. Picnic food pairing is not something anyone indulges in, but part of enjoying a good wine is enjoying it with the right food. For example, I went to a dinner with Chilean winemaker Jon Usablaga from Espiritu de Chile and he introduced us to his range of wines. From the youthful and fruit-forward Sauvingnon Blanc with our padron peppers whose intense green flavour was complimented by the grass notes in the wine, through to the chilli chocolate dessert enjoyed with a 2001 intense and slightly too rough for me cabernet sauvignon. The winery had actually bottled this and cellared it so we were tasting this wine as though it had been laid down by a collector – which I suppose a winery is. 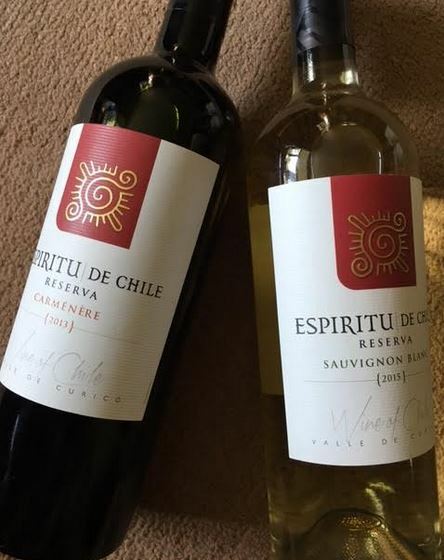 Each wine from Espiritu de Chile I tried specifically complimented the food but also stood on its own. Where choosing the right food and wine/beer pairing gets ignored for the most part is outside on a picnic where food and wine are grabbed based on personal preference and not what matches. For a picnic, the wine is generally a rose and the beer is an amber, some ice and glasses and voila. Now run into the supermarket and grab some pre-packaged food from the shelf as you go wherever. Where I live we have an Aldi, Sainsbury’s and Tesco but Asda and others also have an excellent range of food. Most supermarkets have small packages of food perfect for picnics but little thought goes into matching. This summer I’ve been giving wine and beer matching much more thought. 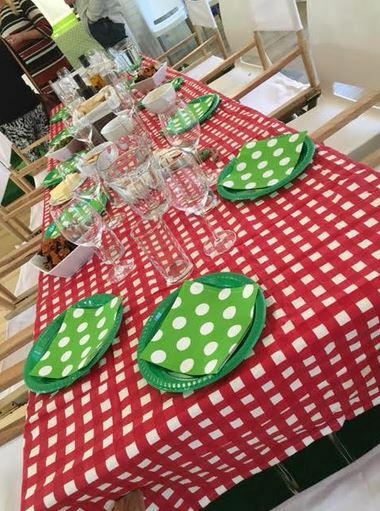 Having been invited to an event with Asda which was specifically designed to match picnic food with wine and beer, I came away inspired to do more and think more. It wasn’t just Asda, though they absolutely led the pack with their thoughtful pairings and insight into their range of wines. Thanks to a kick by Aldi I was reminded of their light and refreshing Gavi which is the perfect summer wine. At Three Wine Guys the winemaker from Chile and the Wine Society both spoke of food and wine pairings – especially cheeses. What more perfect for a picnic than a light Gavi and a delightful soft goat’s cheese? Everywhere I turned everyone suddenly seemed to be pushing me to think about picnics and food and matching wines differently. Why shouldn’t we take a red wine with us? What about matching wine and crisps? Have you ever thought about red wine and salty hard cheese? Hmmmm… time to rethink by aversion to olives and get into the wine pairing swing of things. So let’s take this further and think about some matches we could create with picnic food and go a bit crazy. Using Asda as a launching point with their chosen combinations of picnic food and wine, I decided to goa bit off-piste and think about my picnic foods and what I might pair. We all know what food we like and sometimes we know what wine we like and we just need to bring the two together. We’ll think about the wine first and match some food to it. Sparkling wines like Cava, dry Prosecco or Champagne – if we decide to go sparkling with our wine and nothing else (as well I’d love some days) should we really buy that spicy hummus from Asda? Sure it looks glorious but what will our bubbles taste like afterwards? I’d buy lovely crusty bread and some Extra Special pate from Asda with some crisps and possibly make ahead a Caesar salad (who am I kidding? I’d buy it in a bag…). Add in to that mix some sundried tomatoes and olives and you have yourself a picnic! Each sparkling wine is going to be quite different and while I recommend a dry prosecco these three bubbles are not only made with different grapes, they are made in different ways, with cava and champagne made with yeast in bottle and not prosecco. 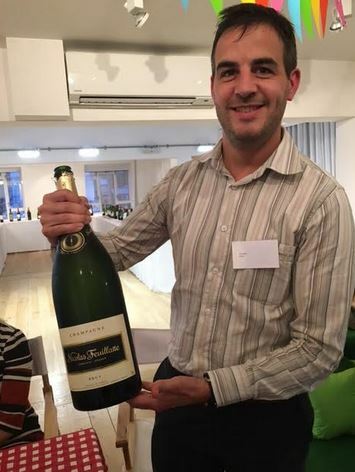 These sparkling wines will of course will change the flavour of your food as well as your food changing your enjoyment of the bubbly so eat responsibly! This Jeraboam of champagne is only available for a short time. 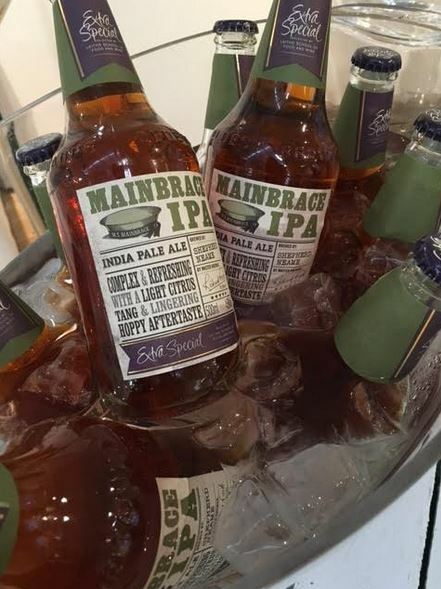 IPA Beer – Asda brought a wonderfully flavourful beer to our picnic pairing. We could really go into a lot of detail over just the different types of available beer just like wine but I thought that since I had recently tried this beer with Asda I’d match it up with picnic foods. Lots of people like beer but think about the flavours you like and compliment or contrast the flavour of the beer.. For example for this IPA beer from Asda I would absolutely do pita bread and a spicy hummus. I would also toss in a spicy salad but then I might go with sausage rolls and a bit of coleslaw. There are spicy olives and cheese pots and spicy sliced meats. Now that is a quick and easy picnic with a great beer. 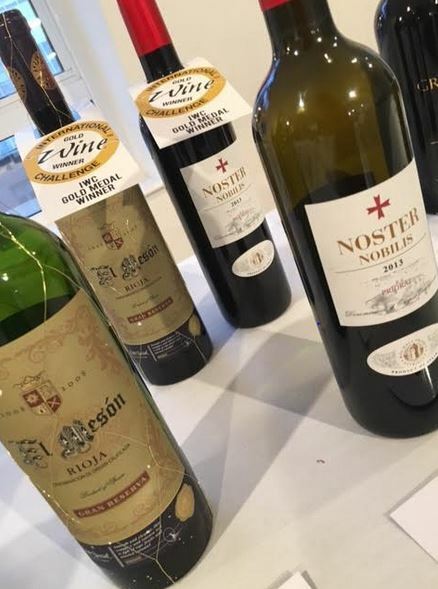 Rioja – The 2008 El Meson I had at the Asda tasting was heavy and the tannins really built up as you drank it but it was gloriously flavourful. With this wine, which is a bit heavier, I would probably fall back on some heavier foods. 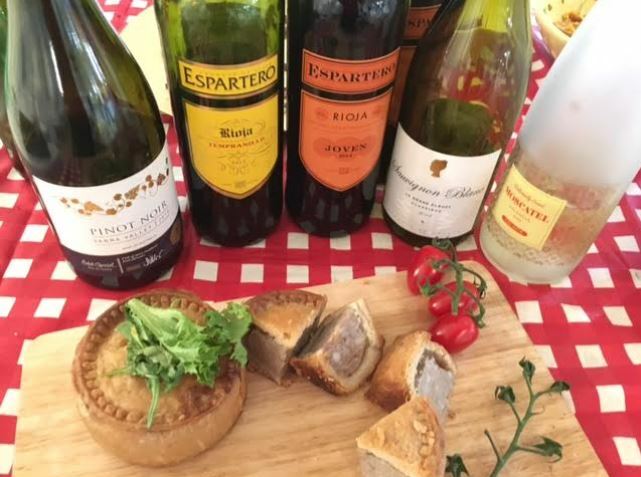 Pork pies I would absolutely pack in a basket with my Rioja but also roast beef sandwiches (pastrami too) and maybe some roasted vegetables with feta cheese squares. I might add in some cheese stuffed little peppers or olives and maybe a quinoa salad. Go big or go home if you pack this wine in your basket (I recommend just buying this wine from Asda by the way. This and the Baron de Ley 2011 from Coop are both fantastic reserve Rioja wines) This a quite bold and heavy wine so I’m going with bolder food choices. Oh if only I could grill some padron peppers for my picnic with this wine and some pita bread – heaven! Think about what you are packing in your basket and think about getting creative with your wine. Instead of choosing your food first and then your wine why not think about choosing your beer and wine first and then match your foods up with the drinks you are taking with you. Also remember water of course, and drink responsibly so you can enjoy the while picnic season. I’m one of those people who don’t think about matching my food and drink. I either pick a bottle of red wine I enjoy or pick one out of a mystery box if I want a surprise. But then I usually have picnics during the day so may not be drinking red wine and in that case I’ll be looking around for a bottle of Prosecco.